At Horizon, we constantly seek new ways to better serve our clients. We strive to work with investment firms that are innovative in their thinking, and that add value to our efforts to develop and manage your investments and ultimately meet your financial goals. Over the last year, we've closely examined how we manage our client's investments. We are constantly searching for ways to enhance the services as well as the financial advice we provide. To this end, we found an investment program, Bellatore Financial that not only provides the flexibility our clients demand; it gives us access to a team that includes a Nobel Laureate in Economics and a Professor of Behavioral Finance, along with other industry-leading experts. Working with these experts, we have designed a series of model portfolios intended to reflect a broad range of investment goals. In addition, this platform will allow us to allocate these portfolios to reflect the specific objectives of each individual client, as well as adjust for changing market conditions. We believe these strategies represent a leap forward in how we enhance the services we provide for our clients. If you'd like to hear more about how these strategies can work for you, call us today at 413-525-3210! Horizon Investment Management Group has differentiated itself from other brokers by offering a dynamic communication package allowing client potential roots for success. These programs are specialized to individuals with special attention to long-term goals, tolerance for risk and personal preferences. Each portfolio is reviewed personally by a staff member that has intimate knowledge of your individual situation. 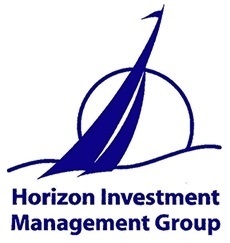 This personalized service sets our firm apart and is the cornerstone of Horizon Investment Management Group.